Happy Friday! I don’t know if it’s the 80 degree weather or the fact that it’s staying lighter out so much later but something has me giddy to get this weekend started. 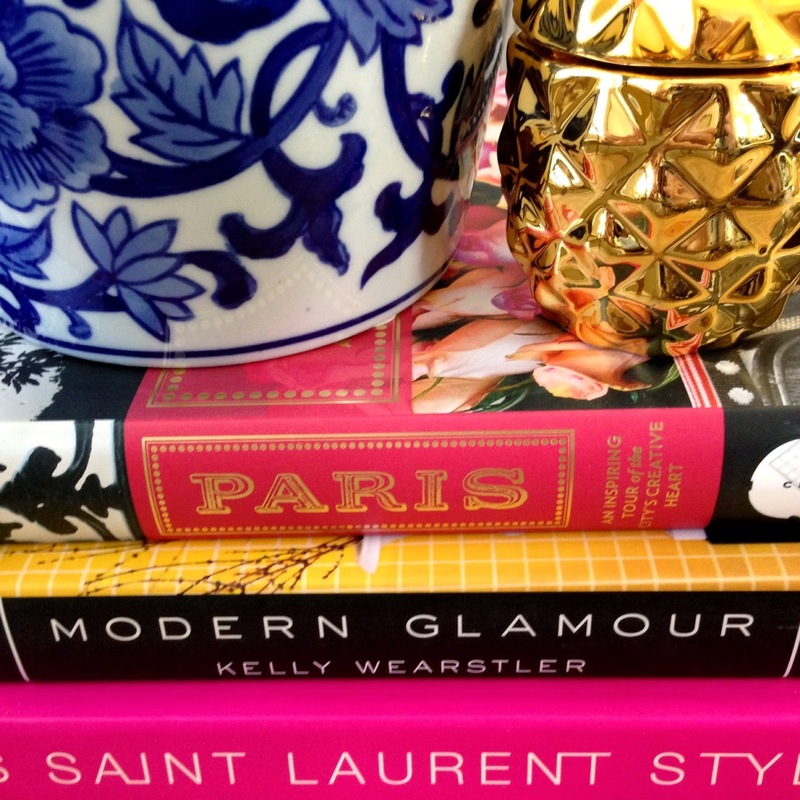 Weekends in our home mean reading, date nights, long walks, big brunches and cocktails. I’ll be honest, I’m pretty much a homebody. I’ll stick within my own four walls with my little family any day over going out. Give me a closet to organize and a glass of wine and I’m pretty much the happiest girl ever. Do you need more perspective? Monica from friends is my spirit animal. If it weren’t for my husband I would probably never get out at all and become a crazy lady obsessed with her kids and dog. Hence, I have discovered the joy of entertaining and having people come to us as opposed to going out. 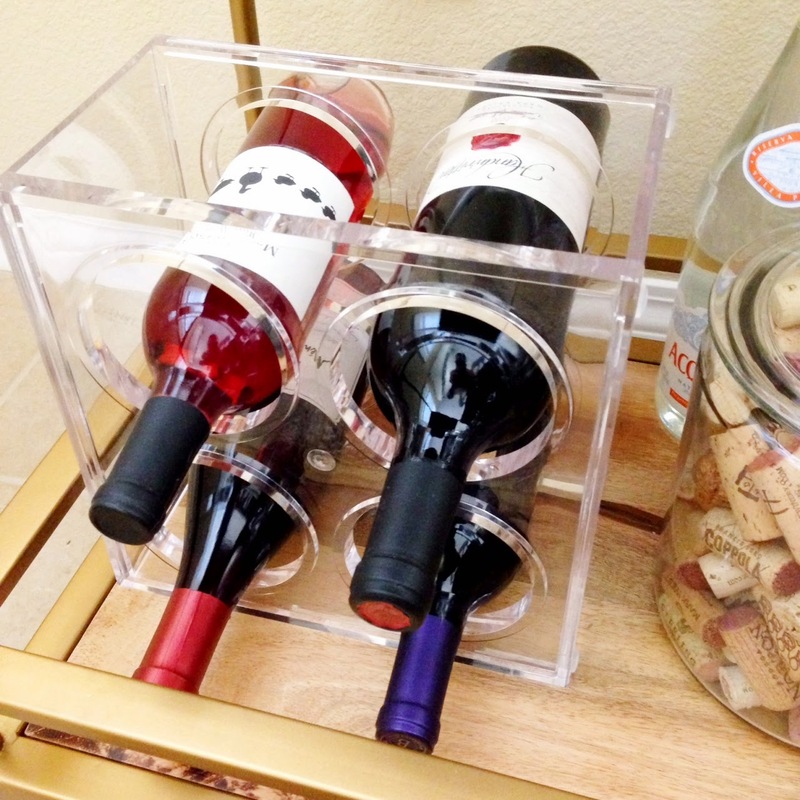 The one item that makes it easy to entertain? A Bar Cart! 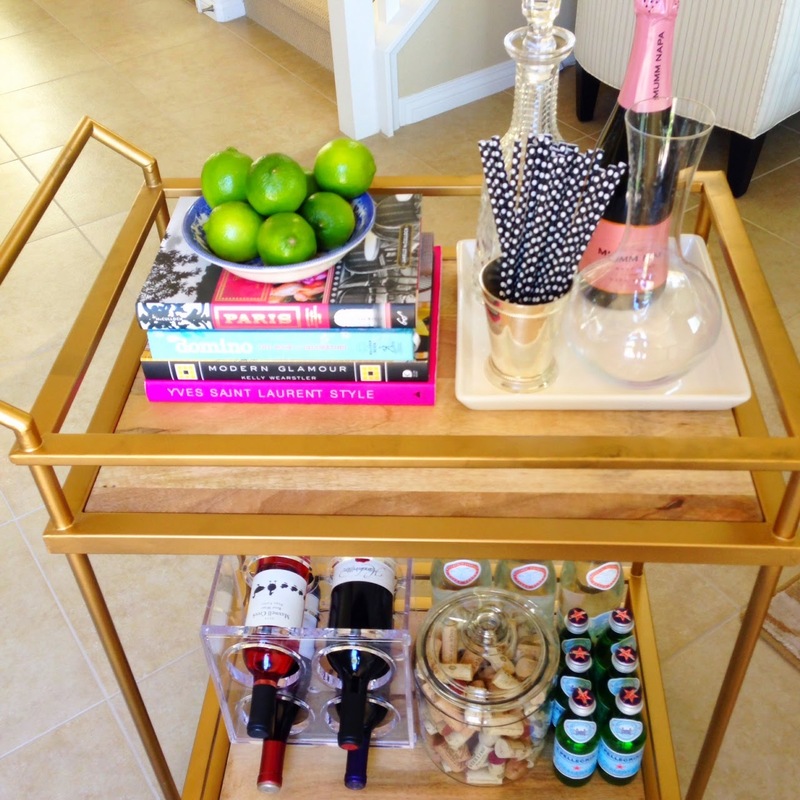 I had my eye on this Target bar cart for a while and finally pulled the trigger a few months ago and I.AM.OBSESSED. 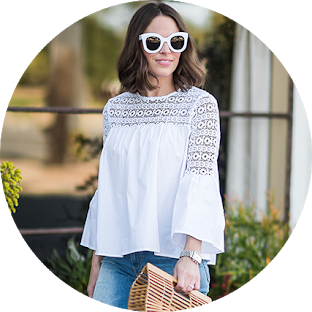 The fun thing about this piece is that you can change up the decor based on holidays, party themes or whatever fits your mood. 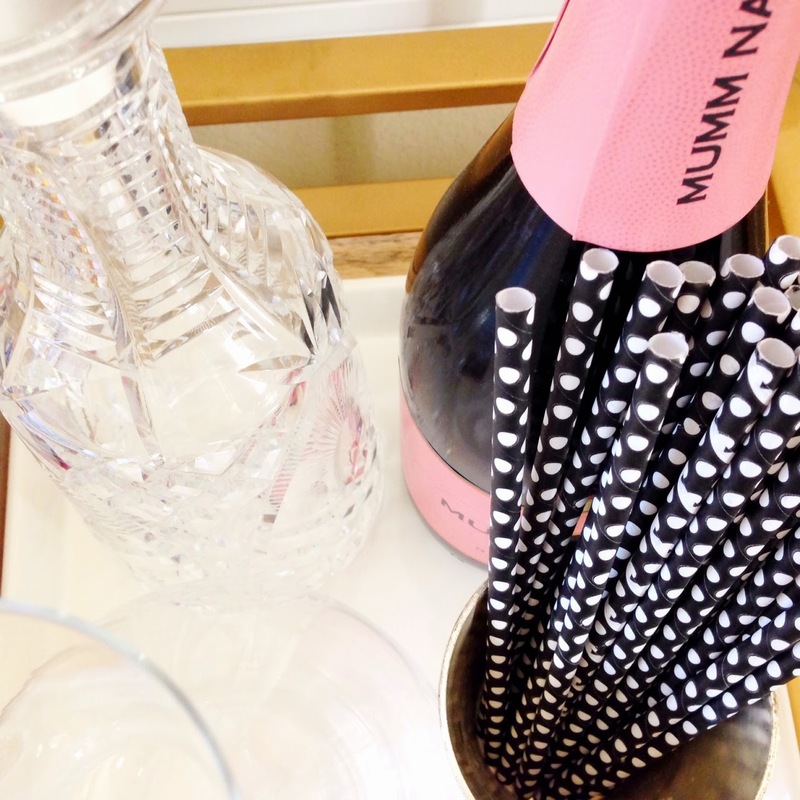 Luckily I have a wonderful husband that doesn’t mind girly/glam decor elements and this is how I infuse color not only into our bar cart but our home as well. Overall our abode is very neutral- creams and whites are my jam. 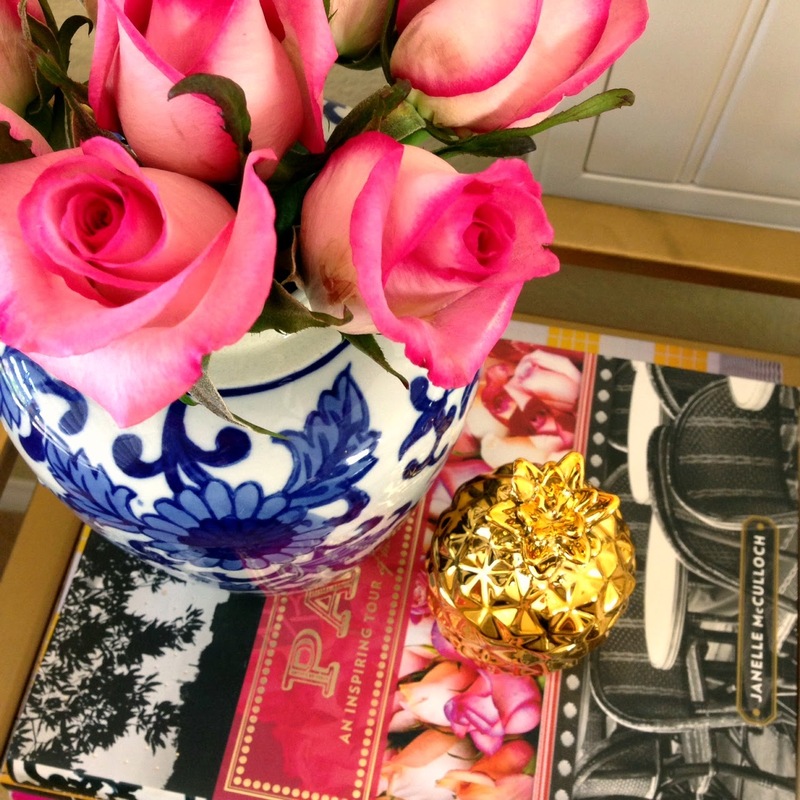 I do however add pops of color all over with books, flowers and little decorations that add my style and personality into an otherwise simple backdrop. 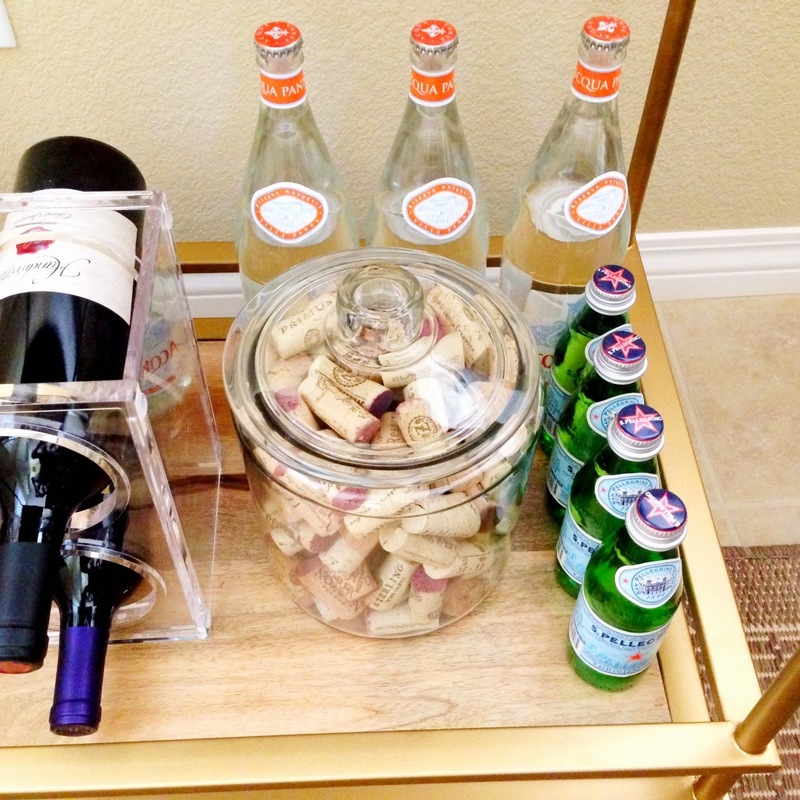 Overall, the bar cart is a great item that offers decor and functionality into your home. Have a cozy little corner or wall that needs jazzing up? 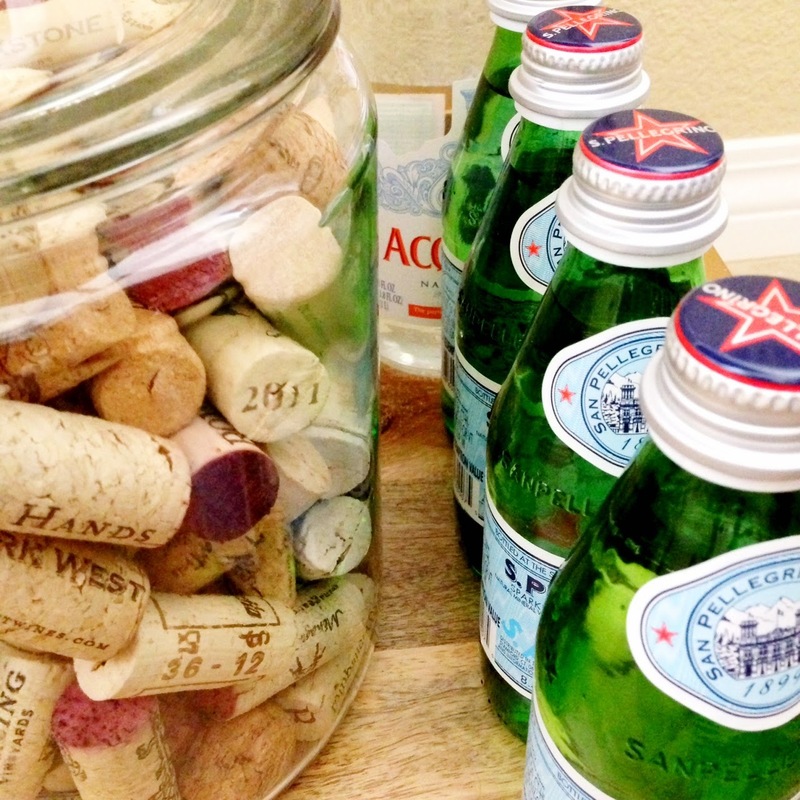 Add a bar cart! I fully plan on enjoying all of this breakable, glass, delicate fun before our little one learns to crawl and some of the items need to be retired. 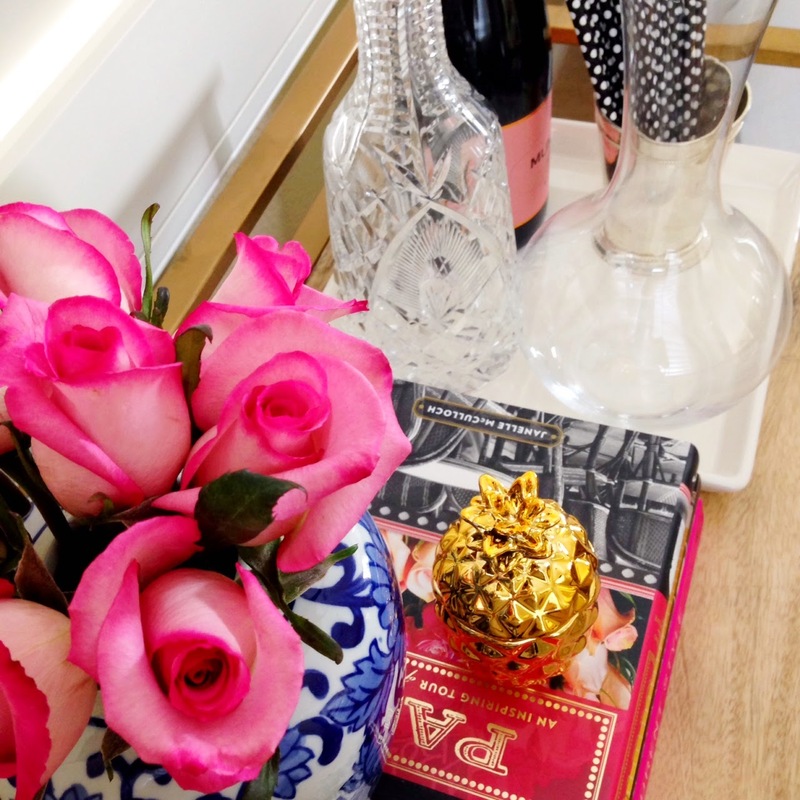 Here is a list of goodies that will make your bar car fabulous: trays, decorative books, chotchkies that you love, candles, chinese ginger jars, wine decanters and of course, fresh flowers. 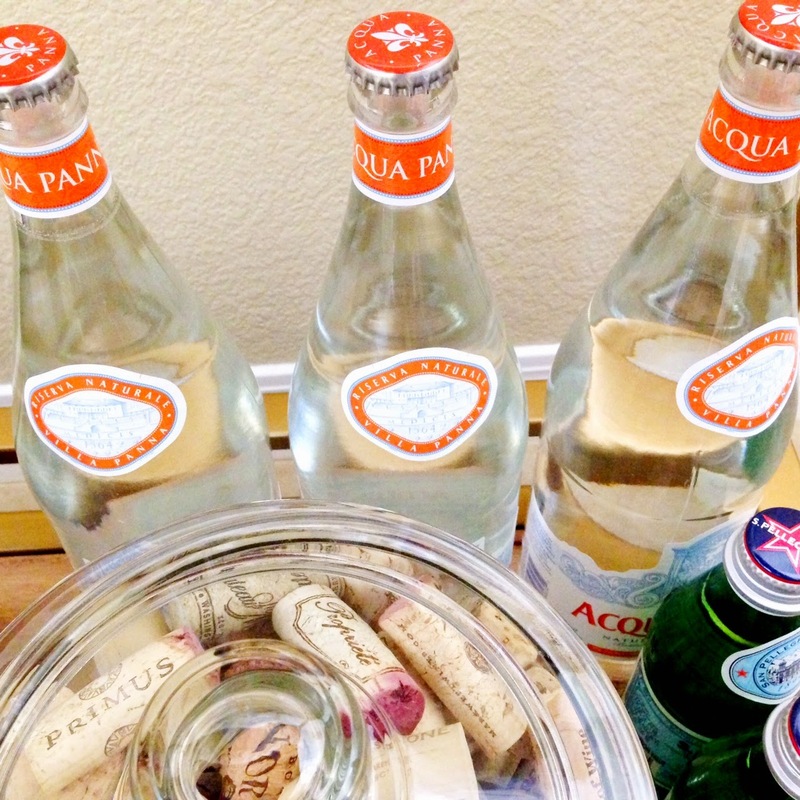 To see some of my favorite ways to style bar carts, follow me on Pinterest! Cheers to a lovely weekend and as always, thank you so much for reading!